You can now expect to see industrial-zoned land that is undeveloped face the risk of being fined or have their property seized by the Ministry of Industry. This comes in to action in an effort to fight the property speculation that is spreading quickly, according to U Thein Aung, a deputy industry minister. It’s common to see land sit for quite some time, having been purchased by investors that are simply holding it to see if the value increases. Because there is restricted supply and a significant increase in the resulting price, professionals looking to find land in order to construct a physical factory, for a reasonable price, will find it more difficult than one might expect. U Thein Aung stated that owners will be fined if their project is not complete when the proposed time period is not met. He also added that land that has been purchased but no project proposal has been submitted also puts the owner at risk of having their land-use permits provoked. U Thein Aung continued to state that revoking permits that actually give the rights to industrial land plots could prove to be difficult, but it will be done in a gentle and fair manner. Nonetheless, it needs to be done. Professional business people will purchase land with a project already planned for it, but have speculators come offering more money, enticing the business people to turn around and sell it. There are currently 9 active teams looking in to the vacant land throughout the industrial zones, but the reason for it being vacant can be a tough thing to determine, says Aung. These comments from U Thein Aung came when responding to a question in the Amyotha Hluttaw, October 15, asked by U Myat Nyarna Soe, representative of Yangon Region, who stated that the higher prices for land make it very hard for foreign investors to choose Myanmar as a location for their facilities. U Myat Nyarna Soe talked about having visited Hlaing Tharyar (an industrial zone) and getting complaints from those that have to face the significantly increasing prices due to speculators bidding the buying costs up way too high. “Foreign investors don’t want to do business with expensive rental prices, so the development of the country’s economy is being obstructed by soaring land prices even though Myanmar has rich human and natural resources,” U Myat Nyarna Soe said. 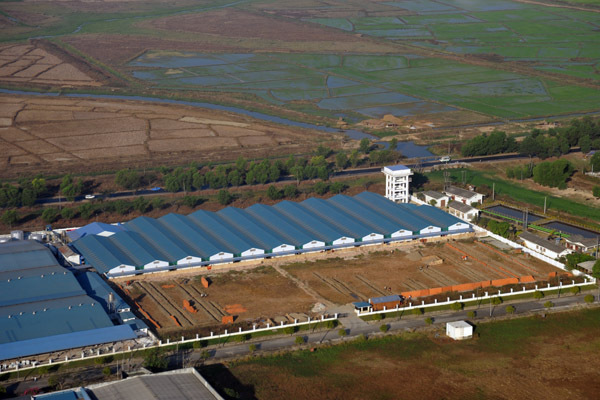 As of right now there are 19 industrial zones that have been developed, 6 that are still under development, 3 special economic zones (Dawei, Kyaukpyu, and Thilawa), and 24 sub-industrial zones. These special zones are targeting foreign business, providing numerous benefits to companies that locate to these specific zones.